TEHRAN, Sep. 2 (Mehr News Agency) -- Shush Cultural Heritage Center (SCHC) director called on cultural officials to accelerate the process of ratifying the demarcation for the ancient city of Susa in southeastern Iran. Based on the demarcation, all governmental organizations must observe the regulations for safeguarding the site, Mohammadreza Chitsaz told the Persian service of CHN on Tuesday. According to Chitsaz, the proposal for the demarcation was placed before the Cultural Heritage, Tourism and Handicrafts Organization (CHTHO) about two months ago, but it has been impeded by bureaucracies. The demarcation, which designates an area of 1200 hectares for Susa, has been carried out by a team of archaeologists to end a series of governmental construction projects threatening the site. A construction project for a hotel encroached upon the perimeter in May 2007. A 100x100 meter area was excavated to a depth of 6 meters during the project that was authorized by the Khuzestan Cultural Heritage, Tourism and Handicrafts Department. According to SCHC witnesses, ancient strata and shards were seen on the walls of the hole. The strata and many artifacts were destroyed and the earth excavated by loaders has been transferred to an unknown location by trucks. The project has since been abandoned because it is located in an area claimed by the Khuzestan Road Office. CHTHO Director Esfandiar Rahim-Mashaii asked his office to investigate the case in order to determine the people responsible for damages to the site. Susa has also been threatened by vandals. 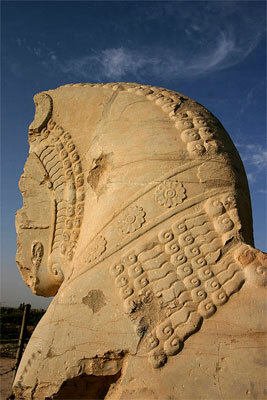 The column bases of Susa's Apadana Palace were demolished by vandals in January 2008. The palace perimeter was also demolished by construction of a preparatory school. The building, which is to be four stories tall, will spoil the view of the profile of the palace ruins. In addition, the historical metropolis of Susa is being obliterated by construction of a passenger bus terminal in the city's southern section, and three football fields that host many young teams and fans every day. 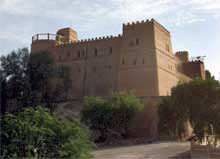 Susa (the Biblical city of Shushan, now the modern city of Shush) was an ancient city in the Elamite, Persian, and Parthian empires of Iran, located about 150 miles east of the Tigris River in Khuzestan Province of Iran. As well as being an archaeological site, Susa is also mentioned in the Old Testament as one of the places where the Prophet Daniel (AS) lived. His tomb is located in the heart of the city. Susa is one of the oldest known settlements in the region, probably founded around 4000 BC, though the first traces of an inhabited village date back to 7000 BC.